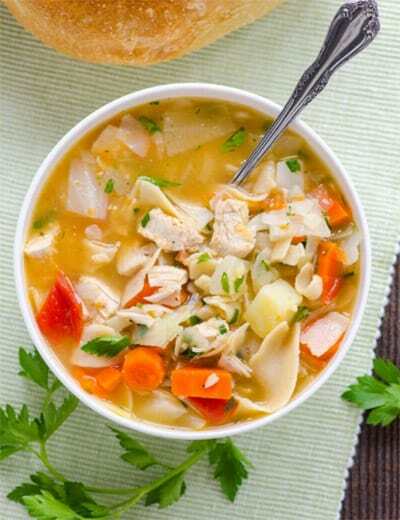 Soup is a staple for every person on Weight Watchers. Nothing fills you up or warms you up quite like a delish bowl of soup. Who doesn’t like soup?! It has so much going for it! You can make large quantities and freeze some for later. 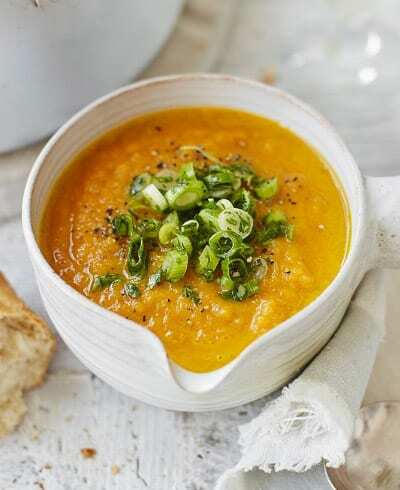 It’s easy to make and it’s souper (see what I did there?) nourishing! For losing weight, eating more soup can’t be beat. It also saves some big bucks as well! No matter what your goal; losing weight, saving money, or increasing nutrition, you can’t beat soup. 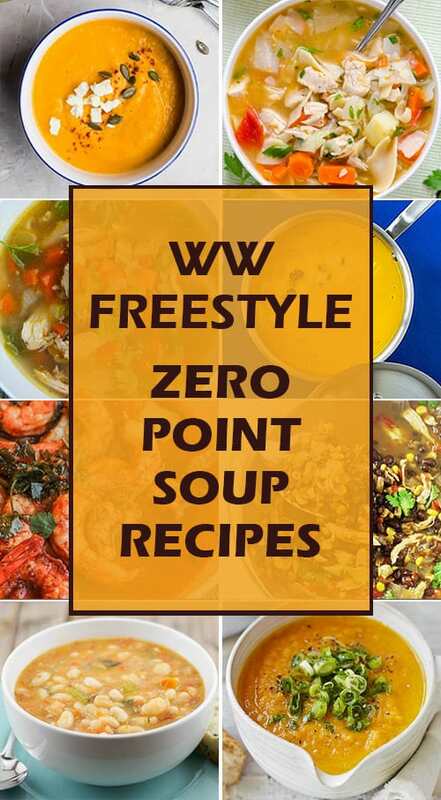 For those of us on the WW Freestyle program, soup can be a real life-saver! When you're hungry but are close to using up all your points, zero-point soups can keep you from breaking the WW point bank. Not all soups are created equal, however. 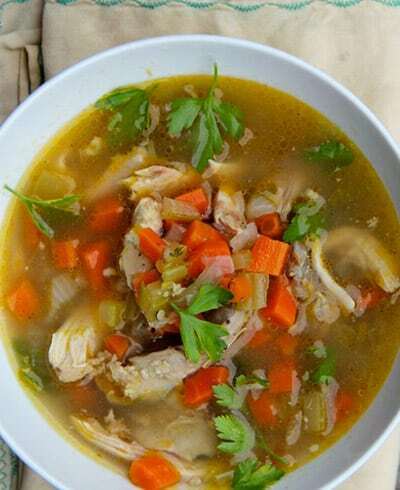 This list of zero-point soups have ingredients to help fuel your metabolism and help fire up your weight loss efforts. 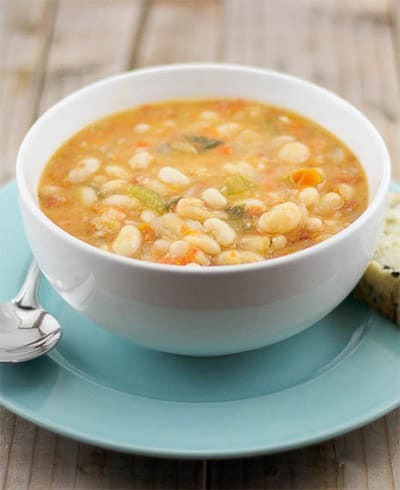 Are you looking for terrific tasting soups that will fill you up but not fill you out? Keep reading because these recipes are so delish, you will be proud to take them to your next pot luck. No one has to know they are zero-point soups except you! You probably remember eating canned tomato soup with grilled cheese at home but let me tell you, this soup is SO much better (and better for you) than that old canned stuff. This recipe serves 6 and it is so easy to make that you might wonder why your mom served you canned soup! Spray a large pot with zero calorie cooking oil over medium heat. This recipe serves 8-10, depending on the size of the soup bowl you use. This is zero points on the WW freestyle program so chow down! 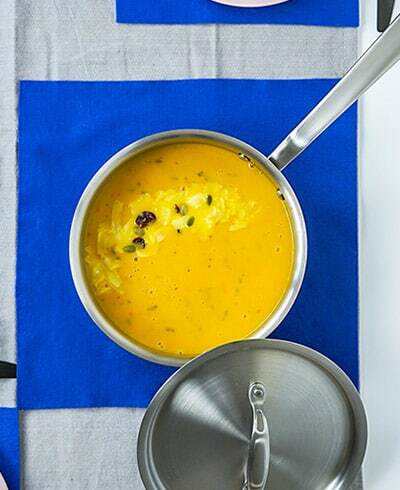 Fall is just around the corner and you are going to “fall” in love with this soup flavor. This recipe serves 6 but you will probably want to double it because it’s going to be a favorite at your house with everyone asking for seconds! In a large saucepan over low heat, add the leek and onion, cooking for 2 or 3 minutes. Put a lid on the pot and turn flame to low. Simmer for 30 minutes. Return soup to the pot and stir in the cream. Reheat under low flame. You will definitely want to save this recipe for after Thanksgiving when you have SO much turkey to deal with. Bone broth is one of the most nutritious ways to help heal joints and make stronger bones, as well as improve your metabolism. You can use almost any vegetables you have on hand. When refrigerated, this looks like a gel on top but don’t panic, when you heat it up again, the gel dissolved back into soup. Make room in the freezer because this makes a LOT! Break the turkey carcass into pieces and put in a large soup pot. If it is a very large carcass, you might need two pots! When you have finished boiling, strain the broth and set aside. 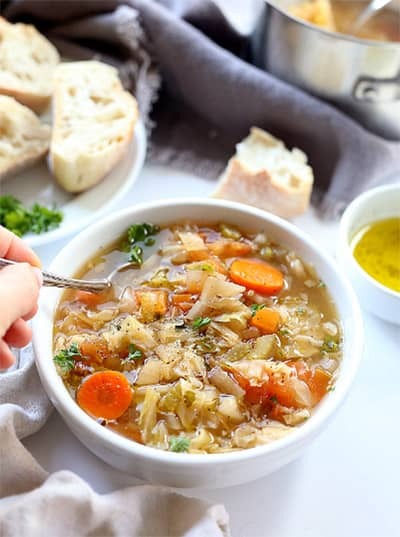 If you are a die-hard dieter, you might remember a popular diet plan in the 80’s called the cabbage soup diet. 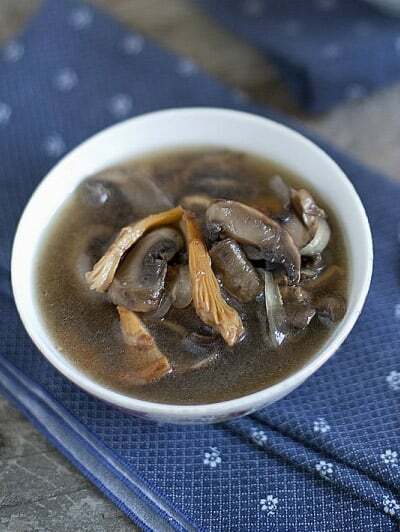 While it wasn’t healthy in the long run, for losing weight short term, this soup is the bomb! 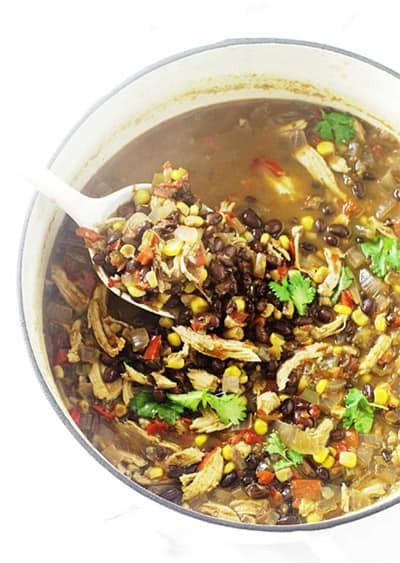 Anytime you get hungry, eat a big bowl of this soup and watch the pounds melt away. This recipe serves 8 but if you double it, it freezes up like a dream. Fish and seafood lovers get left out in the cold because most fish recipes are chowders, which use milk and flour. This is a killer recipe that you will want to eat again and again. You can use almost any type of white fish fillet in this recipe, including halibut, perch, red snapper, tilapia, or pollack. 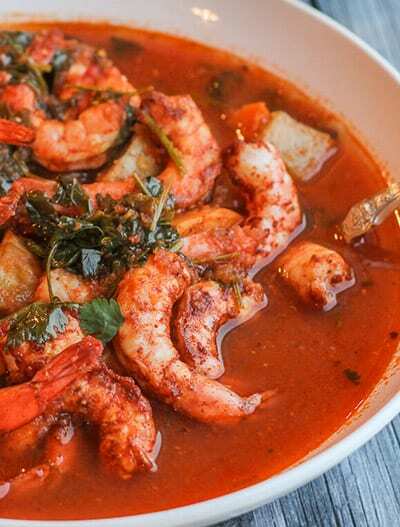 Stir in the clam juice, tomatoes, shrimp stock, red pepper, and 2 tablespoons of the parsley, salt, pepper, bay leaves and thyme. When we say “spicy”, we don’t mean hot, we simply mean flavorful and wonderful. 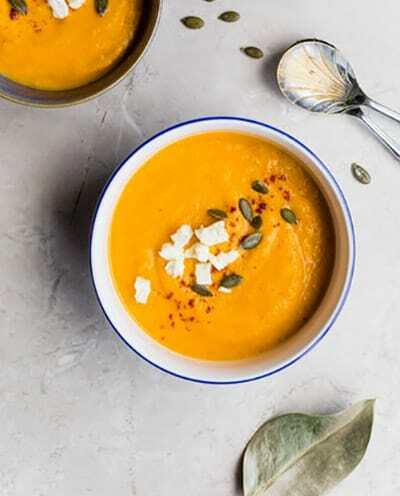 Let’s face it, carrot soup is great, but it does lack the little extra oomph. This recipe makes 4 servings and has zero points so double the recipe and make friends at work jealous when you are enjoying it later. For all those days when your stomach is growling, it’s 4PM and you realize you’ve already eaten all of your points, this soup will be a blessing. This recipe is zero points on the WW Freestyle plan and it serves 6. Although we used chicken breast, you can use dark meat, turkey breast, or even ground turkey or chicken or turkey sausage instead. You could also go all vegetarian and leave out the meat if you prefer. Take note that although this cooks up in a bout 4 hours on the stove, you could put it in a crock pot on the low setting for 8 hours or in your instant pot for a quick 8 minutes when you use the soup setting. I’ve seen plenty of recipes for Asian salads and side dishes, but never soup. This one is everything you would expect from an Asian dish; loaded with flavor and an interesting choice of vegetables. This recipe serves 8 and goes from fridge to table in about 30 minutes. Best of all, it’s zero points, so you can feel good about chowing down on a huge bowl. Cook for 4 minutes, then add the cilantro. Stir. Sometimes, I really have a craving for bean soup. There is something about a cold fall evening that just screams warm and soft, right? Bean soup really fits the bill so I’m happy that the Freestyle program allows me to enjoy bean soup without using up my points. This recipe serves 6. I generally make bean soup in the crock pot but if you use canned beans, you could whip this up on the stove in minutes.